So call now to let us help you with that just off the beach color..
How old do you have to be to spray tan? We have no age restrictions for spray tanning, we however require parent signature and that anyone under 18 wear swimwear at all times. That being said, the state of Texas does not permit anyone under 18 to tan in a tanning bed so we do offer special spray tan memberships to minors. We highly recommend that you shower and shave one day prior to your tanning session. A glycerin soap is most ideal because it tends to leave the least amount of residue on your skin. (On the other hand, oil-based soaps should be avoided.) Exfoliating is very important because it will help your tan last longer. The best way to do this is to use a sugar scrub in combination with exfoliating gloves. It is also important to schedule manicure/pedicures, sugaring, and/or waxing appointments before rather than after. It is best to wear dark, loose fitting clothing and flip flops. (There is cosmetic bronzer in the solution and there is a chance that it can rub off on clothing. It washes out of most materials, but it is better to be on the safe side and not wear anything light in color or tight fitting. Ladies, you are welcome to wear as little or as much as you are comfortable wearing- just keep unwanted tan lines in mind! Gentleman, and all minors we request that you wear underwear or swimwear. The appointment is set for exactly 20 minutes, so it is very important to be punctual. If you are a first time client, we recommend that you arrive 5 minutes before your scheduled appointment time so that you can fill out a client forms and meet your airbrush tanning artist. When can I take my first shower and what are the after care instructions? We strongly recommend that you wait at least 12 -24 hours before you sweat or get wet, this means no dog washing, dish washing, kid washing ect... Just stay away from water, relax and let your custom airbrush tan develop. When you do take your first shower it is a cool rinse, with out scrubbing. The hot water will strip the natural oils from your body and dry your skin out and make you peel off rather than fade off evenly. You should pat dry and use lots of lotions, we do sell special tinted and non tinted moisturizers in the salon to help you care for your tan. . We like to suggest that you use oil or ointment on your legs to lock in moisture. Please make sure you are using lotion 2 times a day to insure an even fade of the color. Please also note that using many high perfumed bars soaps and exfoliants can also strip your color. This depends on several factors including your skin type, skin cycle, lifestyle, and care. It should last for the minimum of a week and has the potential to last as long as two weeks. The best thing that you can do to increase the longevity of your tan is to apply our Tinted Tan Extending Moisturizer once a day. Also, try to avoid activities that speed up your skin’s natural exfoliation process. Keep in mind that long showers/baths, hot tubs, heavy sweating, and swimming in salt water and/or chlorine all tend to dry out your skin. Yes. We will customize a solution that will work with your specific skin tone. However, if you are new to spray tanning, we suggest selecting a lighter shade for the first session. This is due to several reasons. First, facial skin is thinner than skin found on other parts of the body. The face is also more exposed to the environment and endures more frequent washing. In addition, makeup, anti-aging creams, astringents, etc. tend to break down the tan more quickly. Unfortunately, it does not, so remember to wear SPF! 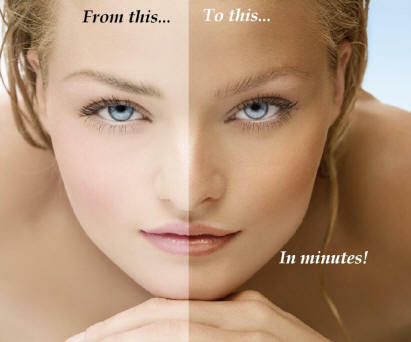 The active ingredient in airbrush tanning solution is DHA (dihydroxyacetone). 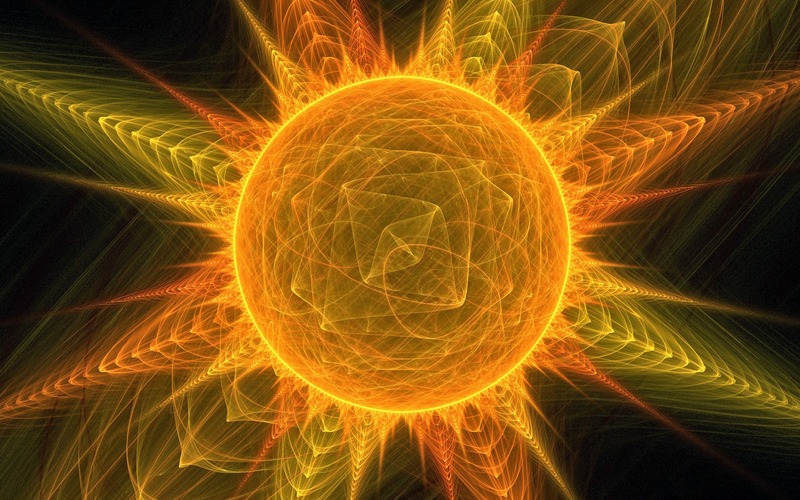 The DHA reacts with your dead skin cell’s proteins, resulting in a bronzing effect. Therefore, as your skin goes through its natural exfoliation process, these dead skin cells shed. It is important to note that not every cell sheds at the same rate. You may have some “tanned” cells that remain or last longer than others. (The result of this is an appearance of dark spots that looks similar to freckles.) This has no correlation to your airbrush technician or the solution. Keep in mind that this process tends to be a bit more noticeable when you choose a shade that is significantly darker than your natural skin color. However, you can usually counteract this by moisturizing with the BRONZED Tan Extending Moisturizer. This might be the one time that we recommend that you’d don’t get a spray tan! Oh, and wear sunscreen next time!! Is the new client special still valid? You must use both with in a 30 day time period and they are non transferable.